A local climate group is hoping to stop a north-east wind development in it tracks by backing a local campaign. The Aberdeenshire branch of the Green Party has joined those opposed to the Glendye Windafrm development, near Banchory, in the north-east of Scotland. The group is backing the Save Clachnaben campaign, a protest group canvasing to stop the construction of the Glendye development. Concerned about the project’s effect on the natural environment, the Glendye Windfarm Opposition group claim many local sights and landmarks are “under threat”. The group added that the damage that would be caused by building the windfarm “would in itself mitigate any benefits of installing the wind turbines”. Earlier this week, the Banchory-based Glendye Windfarm Opposition Group, which has 40 members, said the Glendye onshore wind development “ignores” key recommendations from the council’s local development plan. 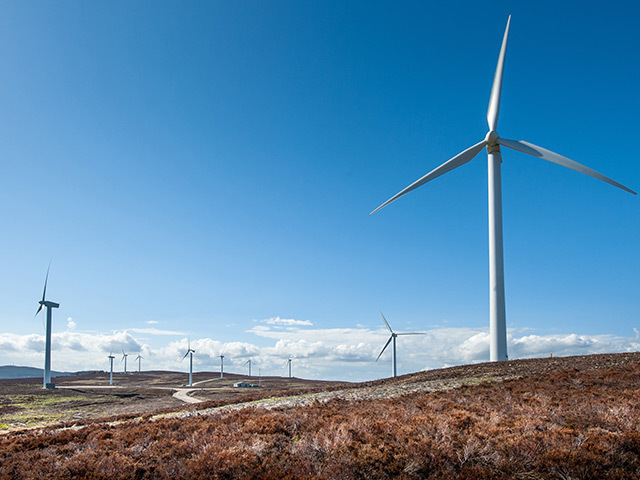 Developers Coriolis Energy and Irish utility ESB have submitted a planning application to the Scottish Government for a 26 turbine project, with Aberdeenshire Council a “statutory consultee” in the process. Coriolis Energy said it “did not wish to make any comment” on the situation. Local Green activist and country councillor Sam Wylde said: “While wind farms can make an important contribution to reducing greenhouse gasses, so do peat lands. When we build a wind farm on peat land it is self-defeating in terms of the environment. The site is within a 6 mile distance of nesting birds of prey and adjacent to the Water of Dye which is included in the river Dee Special Area of conservation. The report claims that windfarms which are likely to have an “adverse effect” on tourism or local walking routes “should be avoided”. A period of public consultation is open until the November 11, 2018.